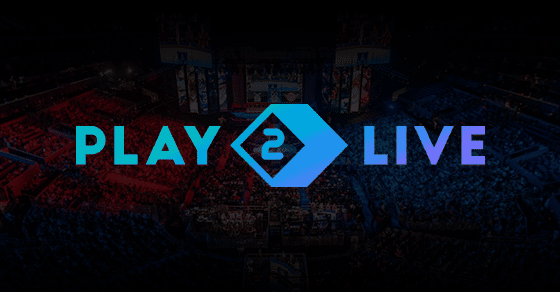 Anton Agranovsky joined Advisory Board of Play2Live, which is an international videogames streaming platform providing new kind of solution for gamers, fans and organizers of cybersport events and tournaments. In 2008, Anton Agranosky founded Destiny Development, one of the very first Russian online gaming developers, and chaired the company until 2017. Expertise and knowledge of Anton and his investment company, Agranovsky IT, will support Play2Live in gaining solid competitive advantages over its peers in negotiating with gaming community, producers of eSports content and cybersports broadcasting companies. “Cybersports are one of the most promising and actively developing segments, laying in between gaming and IT sectors, which is expected to reach $2bn in annual revenues by year 2020. Russian players are among the world’s leading cyber sportsmen, and domestic producers compete equally with international majors in the sector, and even occupy top positions in some niche areas”. “What comes as a crucial business element for any technology-related business is its management team that should be capable of instant development and ready to act accordingly, and I take it as critical criteria for my personal investment decisions. In Play2Live case, the company’s management brings together a very strong set of professionals with exceptional track record in Russian and international corporations, including Wargaming, Rovio, Mail.Ru and Syncopate. Play2Live CEO Alexey Burdyko was running one of the leading players in streaming market of Russia and CIS, Game Show Media. This confirms that the project has solid grounds and magnificent prospects”. Agranovsky IT is an investment company focused on investments in technological and internet companies on seed and pre-seed stages. The company’s portfolio includes The Moscow City and House Mall realtors, HelpIM business services integrator, producer of interactive advertising 5Visions, SMS-notification service SMX Communications, and Plastic Media payments acquiring company. Agranovsky IT was founded in 2017.The company’s head office is located in Moscow.Play2Live system includes several layers of interaction and provides spectators of streaming channels with extra ways to communicate with their favorite players as well as take part in community management and decision-making. The project is built on a self-developed decentralized Blockchain based system Level Up Chain. Play2Live utilizes its internal LUC tokens which allow all participants to earn fairly from their activity, e.g. personal streaming channels, watching of ads and commercials, or peer-to-peer CDN translations. Aside from Anton Agranovsky, Play2Live Advisory Board includes several international members with comprehensive experience and expertise in spheres of videogames, streaming, international marketing, Blockchain and crypto currencies. Namely, the Board was strengthen by Can Yang, formerly CEO of Azubu.tv, Gaimz Founder Aladin Ben and one of the most praised Blockchain activists and promoters Richard Kastelein. Play2Live will hold and international public crowd sale of tokens (ICO) on December 4-10, 2017, and a limited pre-sale from November 20 till 26, 2017.